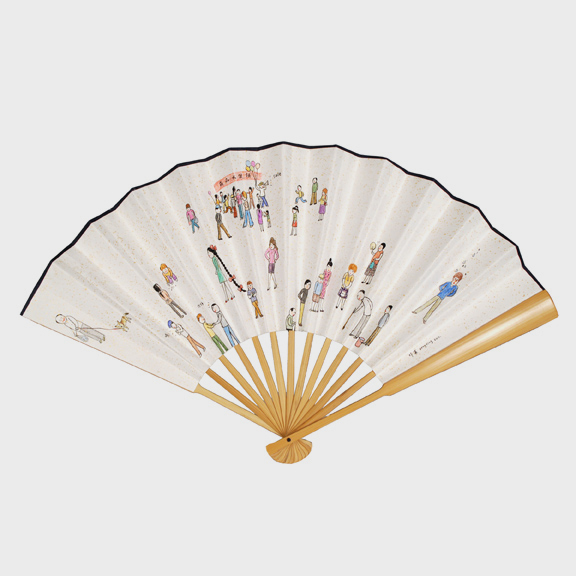 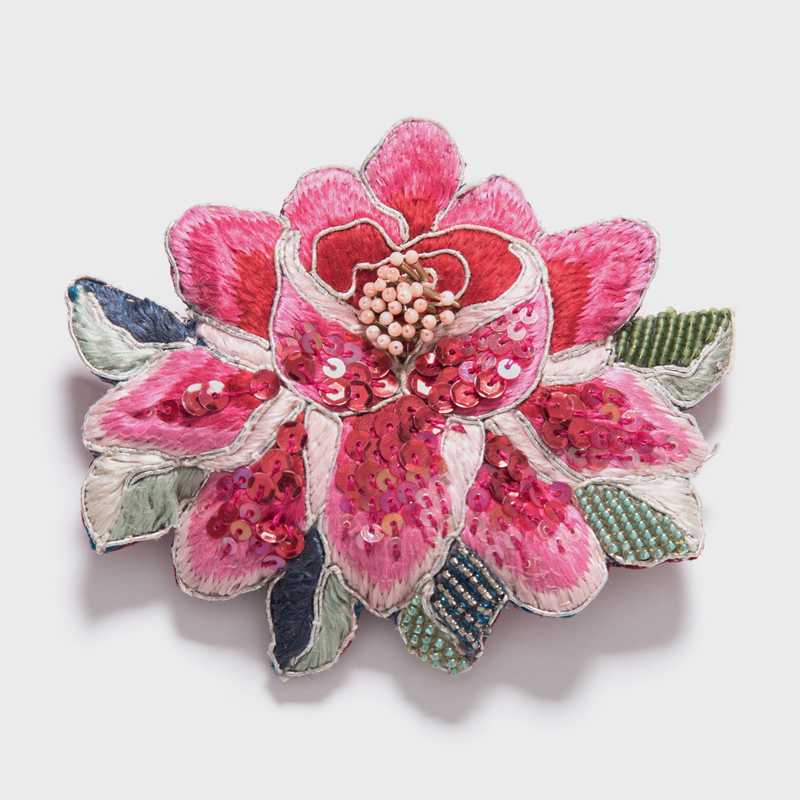 W: 16.25" D: 1.0" H: 9.25"
Among China’s aristocracy, fans were symbols of taste and status. 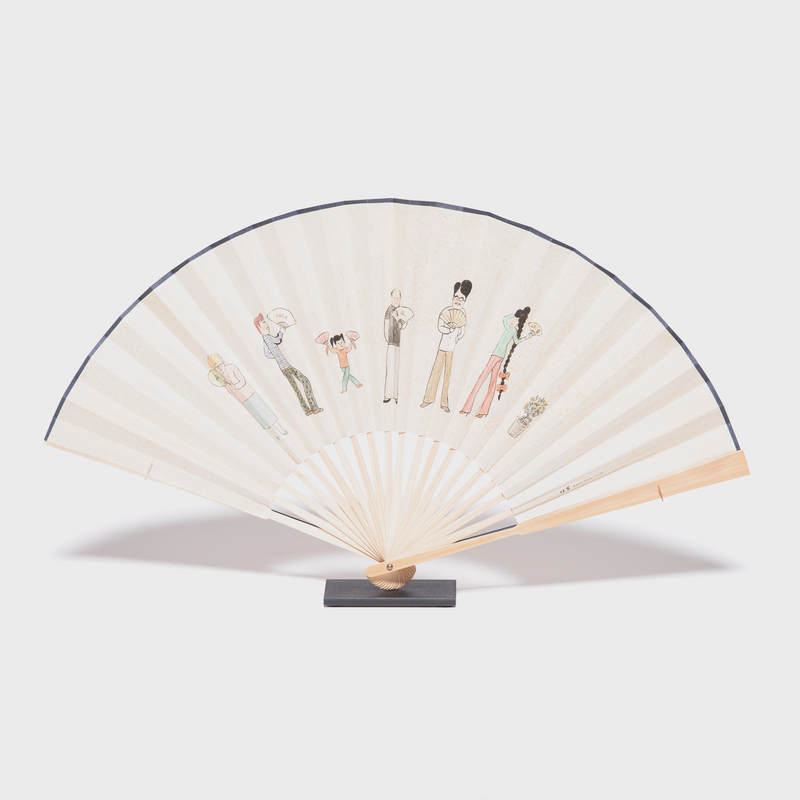 They could be used to enhance a person’s gestures: ladies used fans as props to highlight their beauty and grace, while learned scholars would fan themselves idly to demonstrate deep thoughts. 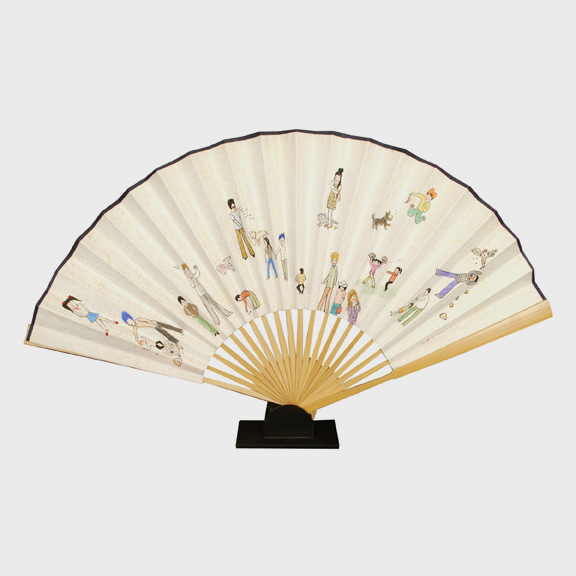 Deng Ying—a contemporary Chinese artist from Beijing—painted this fan with a whimsical, colorful scene she calls "At the Park 2." 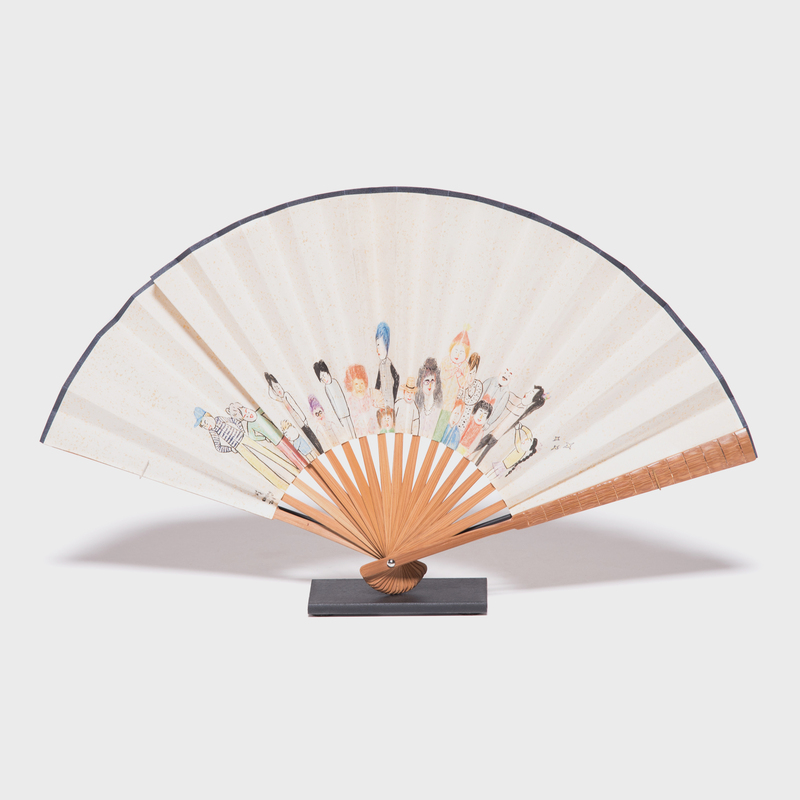 Her contemporary style contrasts beautifully with the traditional design of the fan.